Tourism is a global industry that builds the economy of nations and brings a significant income for countries such as France, Spain, Thailand and the U.S. Certainly, all countries try to make sure in advance of the purpose of the visit and why the tourist wants to be in there, and thus require a visa first. Though everyone welcomes the tourists' money, there are fears that they may be carrying huge sums of money for money laundering, terrorism financing and tax evasion. But, what matters after all is that the visitor does not use them for illegal purposes. "For this reason, most countries only return money to tourists, even if they make mistake or ignore disclosure." Yet, what happened to me in Panama is an example of a financial phishing case under an official cover. In addition to my personal experience, I have heard from more than one source about predetermined tendencies to confiscate the money for the least excuse or mistake. I personally have bonds proving that my money was confiscated and as soon as I arrived, the money went into the Panamanian state treasury on August 30th 2018. This alone confirms that the case has been early settled, and that investigation and the lawyer are merely a matter of formality. In the legal tradition, property is confiscated only after the issuance of conviction. In fact, I visited 96 countries, and I was always honest about disclosing the money I had, "as I did in Panama. ", as I knew that everything ends once the sum is confirmed by airport customs. A month before visiting Panama, I went to the U.S with my family having a larger sum. However, when the custom officer saw us, he appreciated the situation and understood that I was the head of the family and it was natural to have the whole sum "alone". After all, despite the confiscation of my money in Panama, I learned while writing this article, that I could travel a few days later, thanks to God and then the efforts of the Foreign Ministry. Allowing me to travel officially is just an implicit admission that I am a mere passerby who is not charged or convicted - and this consequently proves illegal or unfair confiscation of money I carry. Personally, I consider the state that defames itself with such acts, will subsequently bring incalculable losses to itself, such as the reluctance of tourists to visit it, or the application of the reciprocity by the diplomatic authorities. Definitely, the enforcement of the law is not always an excuse or pretext. The law is rigid and explicit and does not take into account each case separately, but the spirit of law, not to mention the reputation of tourism and international relations, takes into account the nature of the situation and considers each case separately. In other words, even if the law of the state provides the confiscation of funds in certain cases, is it not fair to take into consideration the circumstances of the tourist, drop-out of his country or his ignorance of the laws of the country? How can his money be confiscated while he holds the nationality of another state and asks him to get a lawyer who works with your government for four thousand dollars? How do you want him to pay for the tickets, leave the country, or pay for the hotel and stay until they decide about him? God knows that, despite the harsh situation, I'm so proud of my country that handled it on the double, whether by the Ministry of Foreign Affairs or our Saudi embassies in Washington, Mexico and Peru. I no longer count the number of contacts and messages I have received from figures in charge who really care about what happens to one of the people of the country. They do not care about me only, as evidence by the fact that our embassies abroad spent USD 15 million in 2015 only as fees for lawyers who followed up the affairs of scholarship students, "and have not asked anyone to pay back so far. Add to this, there is a special office in each embassy following up issues of Saudi citizens abroad and providing what guarantees their return to the homeland. 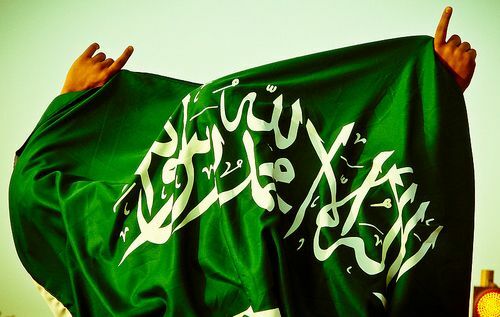 I have personally learned many things from this experience and that I may review later, foremost of which is that that the Kingdom of Saudi Arabia never forgets its people.